With the holidays around the corner, it's possible you'll be playing "hotess with the mostess" and welcoming friends and family into your home! To ensure your guests feel welcome and enjoy their time with you, check out the below ideas. I guarantee they won't want to leave by the end of their stay! A comfy place to land is all most guests desire. Incorporate the luxury of a hotel into your guest room by using a plush bedding collection that looks and feels fantastic. Provide guests with four pillows – two soft and two firm – to accommodate every sleeper's preference. A lightweight throw blanket draped over the bed is great for afternoon naps, and quilts tucked into the corner provide extra warmth if the room gets chilly. For added holiday cheer, decorate with throw pillows in seasonal shades of dark red, hunter green, burnt orange and brown. Provide guests with extra amenities that will help them feel welcome and cared for in your home. A basket filled with fresh towels, a robe hanging from the door and a drawer with a new toothbrush, fresh soap, disposable razor and bath salts inside will help visitors feel comfortable. Guests will be grateful if you stock the medicine cabinet with over-the-counter pain killers and antacids, especially after eating a hearty holiday meal. 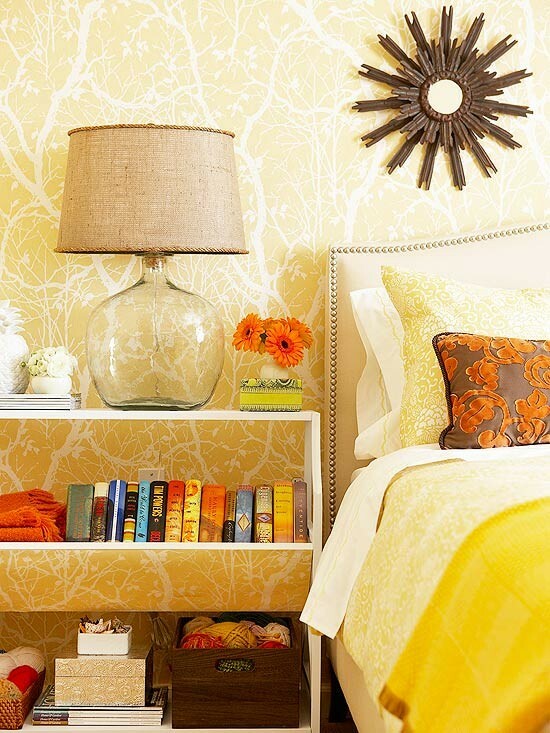 Keep a small stack of books near the bedside or on a shelf beside a comfy chair for guests to thumb through. Include some magazines and the daily newspaper. If space permits, use a corner to create a small reading niche. An arm chair with a small table stand and light will do. Guests may enjoy a good read before bed or an afternoon nap. It's a good idea to include several sources of light in the guest bedroom. An overhead fixture provides light for most tasks while a bedside or desk lamp can soften the mood for reading or bedtime preparation. Natural light flowing into the room provides the best light, but incorporate blackout shades or curtains for privacy and uninterrupted sleep. Despite all the delicious meals you'll be sharing, guests may still get hungry after dinnertime. 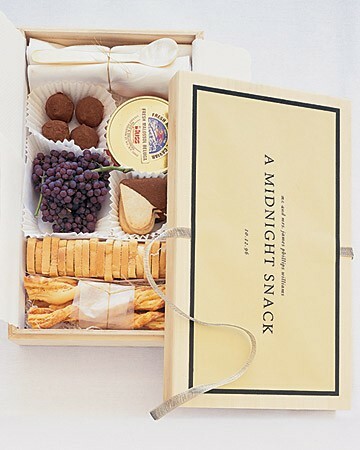 A midnight snack box curbs hunger pangs, leaving visitors satisfied and sleepy. Fill the box with chocolates, crackers, dried fruit and seasonal snacks like a cheese ball or gingerbread cookies. Keep water bottles nearby, and for an extra special treat include mugs and hot chocolate packets. Clear the closet and make room for guests to hang heavy winter clothes and silky formal attire. Provide sturdy hangers for all types of clothing. 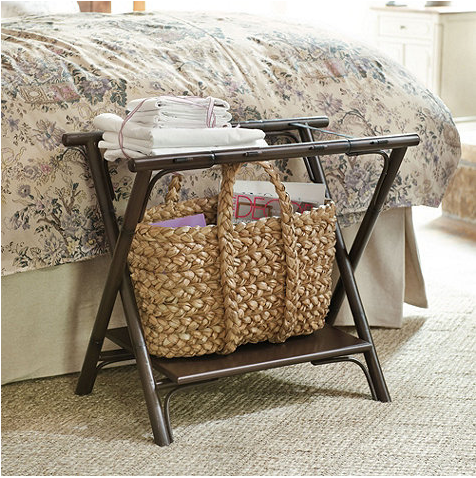 Make sure there is an empty space under the bed or in the closet for guests to store their luggage. If not, an armless chair in the corner of the room can serve as a luggage rack. 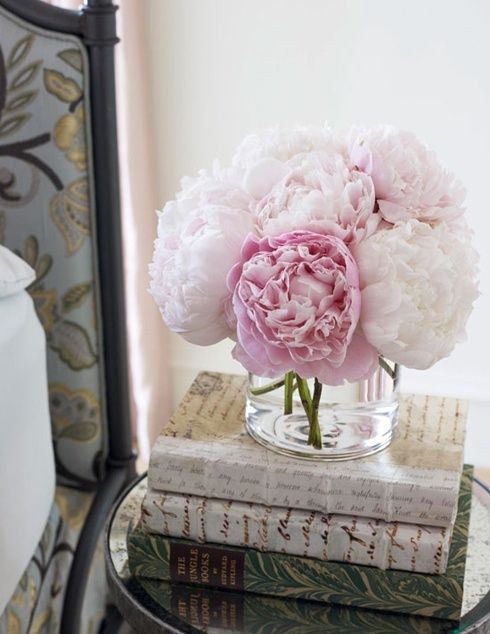 For a pop of color that can liven the smallest of spaces, arrange a bouquet of fresh flowers in a vase in the guest bedroom. A clear choice, tulips are available year round and provide a fuss-free shape for easy decoration. Whether you cut a few blooms from your garden or opt for a more traditional poinsettia plant, guests will appreciate the smell, color and gesture of flowers. So tell me, do you do anything special to make your guests feel more at home? These are all awesome ideas. I want to come stay at your house! Nothing says you took time to prepare for guests like a vase full of fresh flowers. Great tips! Now if only I had a spare bedroom in my teeny apartment. Some day.. 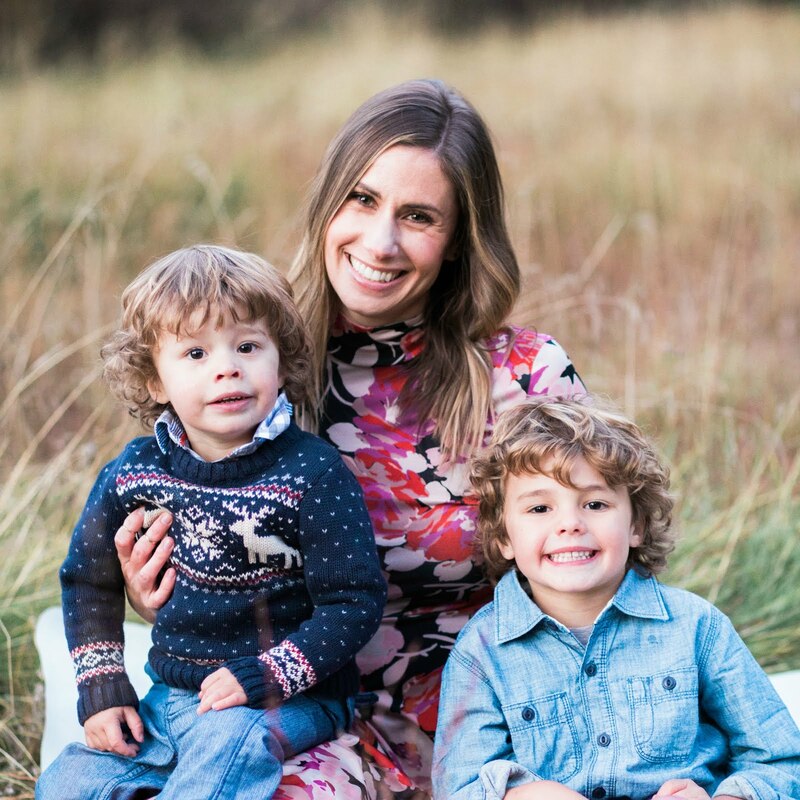 I love all your tips and those inspiration photos are gorgeous! Such cute ideas Natasha. 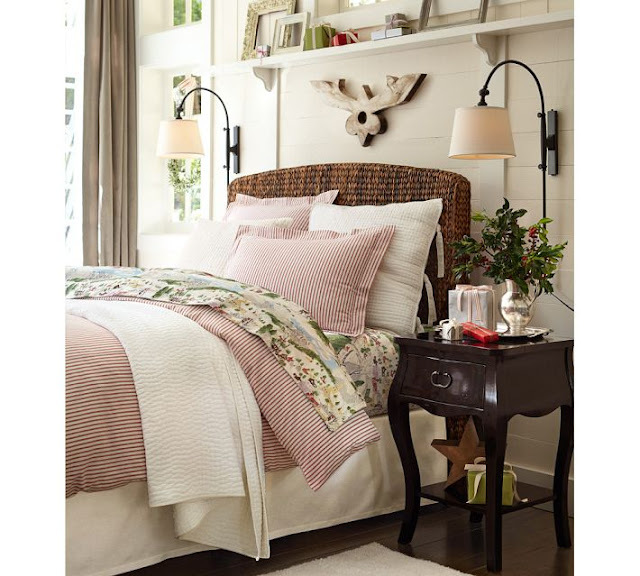 Love that cozy bedding...I always feel like that's a nice touch! Such great reccomendations! I always fill the guest room with fresh flowers, seasonal smells and give them soft plush towels, as well as a collection of DVDs for them to watch on the TV in our guest room. I love (and needed) this!! I have a rotation of guests coming in the next few months and want to make them feel like they are on vacation. One thing I like to do when guests are staying with me is keep bottled water and some light snacks in their room. Sometimes guests feel intrusive heading in to the kitchen and so I've found that this has been a great touch. Ahh this post makes me want to leave work early and spruce up mi casa for the season! Love these ideas! Just became your newest follower!! Great ideas! 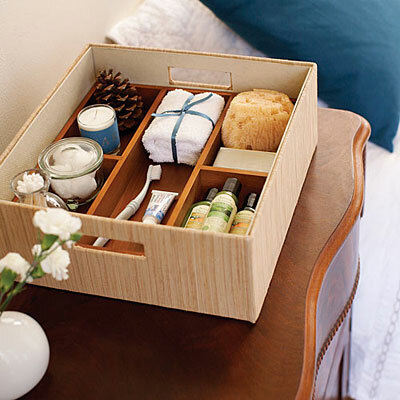 I like to stock the top drawer of a dresser in the room with goodies, and then tie a cute little "For Guest" label around the knob. I also love having coffee table books about Houston for guest to flip through. Love this! I can't wait until nate and I move into our own place (we live with friends lol). I want to decorate! So many cute ideas! I especially love the little box of extra amenities. These are great tips. Now I need a spare bedroom! oooh good stuff! 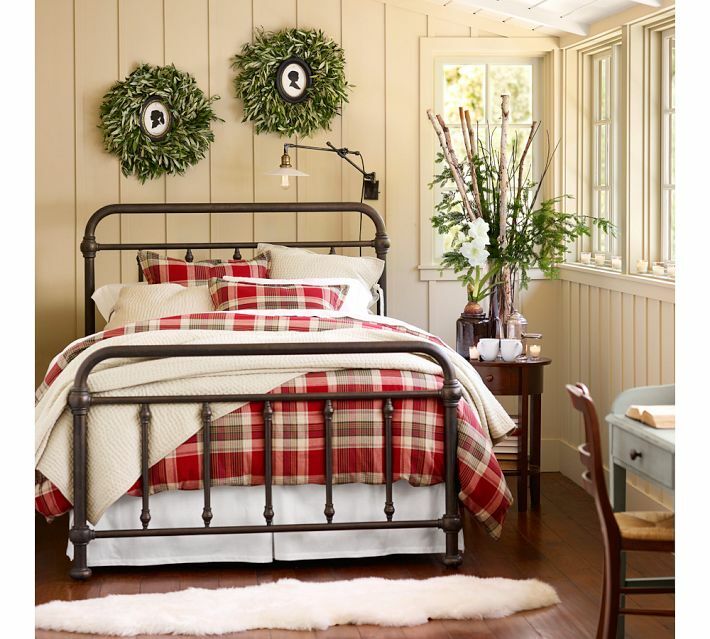 I love to have a different set of bedding for winter! We are updating our guest room right now so thanks for all the tips! I'm getting ready to host some family for Thanksgiving! Thanks for the great ideas!